Switch to receive your statements online by August 31st, 2018 and you will be automatically entered to win. All investors currently receiving statements online will also be entered into the contest. What are the other reasons to go paperless? Keep track of all your information. Receive reminder emails to notify you when your statements is available online. Access Dividend Statements, Registered Plan Tax Receipts, T5 Slips etc. Say goodbye to paper clutter— review historical statements and documents related to your account. It’s Easy. Make the switch today. First, log on to the Fisgard Account Access with your username and password. Simply give us a call at 250.382.9255 or toll free 866.382.9255 and we can get you set up. FISGARD’S PAPERLESS STATEMENTS CONTEST IS INTENDED TO BE CONDUCTED IN CANADA AND SHALL BE CONSTRUED AND EVALUATED ACCORDING TO APPLICABLE CANADIAN LAW. NO PURCHASE IS NECESSARY. PARTICIPANTS MUST BE: (i) A FISGARD CUSTOMER; (ii) A LEGAL RESIDENT OF CANADA ; AND (iii) OF THE AGE OF MAJORITY, OR OLDER, IN THEIR PROVINCE OR TERRITORY OF RESIDENCE AT THE TIME OF ENTRY. VOID IN WHOLE OR IN PART WHERE PROHIBITED BY LAW. ENTRY IN THIS CONTEST CONSTITUTES ACCEPTANCE OF THESE CONTEST RULES (THE “CONTEST RULES”). HOW TO ENTER: Fisgard customers who sign up for paperless statements by August 31st, 2018, will be automatically entered in a draw for a chance to win one of three prizes. All current customers who have previously opted for paperless statements will also be entered. NO PURCHASE NECESSARY. This Contest is sponsored by Fisgard Asset Management Corporation. CONTEST PERIOD: The Contest Period will end at 11:59:59 PM PST on Friday, August 31st, 2018, (the “Contest Period”) after which time the Contest will be closed and no further entries shall be accepted. Employees, officers and directors of Fisgard and its associated companies and such individual’s immediate family members and persons with whom such individuals are domiciled, are not eligible to enter or participate in this Contest. For these official Contest Rules, “immediate family” refers to the father, mother, brothers, sisters, children, husband, wife or partner of such an employee, agent and/or representative. All entries become the sole property of Fisgard and none will be returned for any reason. Fisgard shall have the right at any time to require proof of identity and/or eligibility to participate in the Contest. Failure to provide such proof may result in disqualification. All personal and other information requested by and supplied to Fisgard for the purpose of the Contest must be truthful, complete, accurate and in no way misleading. Fisgard reserves the right, in its sole discretion; to disqualify any entrant, should such an entrant at any stage supply untruthful, incomplete, inaccurate or misleading personal details and/or information. ENTRY: Maximum one (1) entry per person during the Contest Period. The prizes are valued at $500, $500, and $500, respectively. 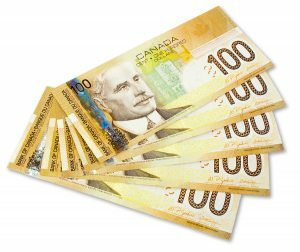 a) On or around September 4th, 2018, at approximately 12:00 PM PST three (3) random draws for each Prize will take place at Fisgard’s offices in Victoria, British Columbia, from among all eligible entries received during the Contest Period. 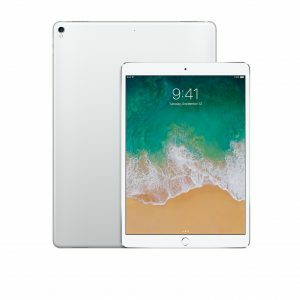 The first entry drawn will be eligible to win the iPad , second entry drawn will be eligible to win 1 $500 Fisgard Investment, and third entry drawn will be eligible to win 1 $500 Fisgard Investment. b) The odds of being selected as a potential winner are dependent upon the number of eligible entries received by Fisgard during the Contest Period. c) On or around September 5th, 2018, at approximately 12:00 PM PST, Fisgard, acting reasonably, will attempt to contact the potential Prize winners of this Contest at the phone number indicated on the entrant’s customer account between 9:00 AM PST and 5:00 PM PST for a period of five (5) business days. In the event a potential Prize winner cannot be contacted within five (5) business days after the draw or there is a return of any notification as undeliverable, he or she will be disqualified and Fisgard reserves the right, in its sole discretion, to randomly select an alternate eligible entrant from among the remaining eligible entries. Upon notification, the selected entrant must respond by telephone to the contact number provided in the notification, and the selected entrant’s response must be received by Fisgard within two (2) business days (before 5:00 p.m. PST) of such notification. If the selected entrant does not respond in accordance with these Contest Rules, he/she will be disqualified and will not receive the Prize and another entrant may be selected in Fisgard’s sole discretion until such time as an entrant satisfies the terms set out herein. Fisgard is not responsible for the failure for any reason whatsoever of a selected entrant to receive notification or for Fisgard to receive a selected entrant’s response. Proof of identification must be provided upon request. d) Before being declared the potential Prize winner, selected entrants shall be required to correctly answer, without assistance of any kind, whether mechanical or otherwise, a time-limited mathematical skill-testing question to be administered during a pre-arranged telephone call or by e-mail, to comply with the Contest Rules and sign and return the Release. vi) he/she grants to Fisgard and its parent company, subsidiaries, affiliates, partners, associates and/or related companies and agents the unrestricted right, in its sole discretion, to produce, reproduce, publish, broadcast, communicate by telecommunication, exhibit, distribute, adapt and otherwise use or re-use the Winner’s names, photographs, likeness, voice and biography, in any and all media now known or hereafter devised, in connection with the Contest and the promotion and exploitation thereof at no additional compensation beyond the awarding of or participation in the Prize to the extent permitted by law. In the event the Release is not signed and returned by the Winner within the time stipulated by Fisgard, the Winner will be deemed to have forfeited his/her Prize. Fisgard reserves the right, at its sole discretion, to select another potential winner. f) By entering the Contest, the entrant releases and holds the Releasees harmless from any and all liability for any injuries, loss or damage of any kind to the entrant or any other person, including personal injury, death, or property damage, resulting in whole or in part, directly or indirectly, from acceptance, possession, use or misuse of any Prize, participation in the Contest, any breach of the Contest Rules, or in any Prize-related activity. The entrant agrees to fully indemnify Fisgard, and the Releases from any and all claims by third parties relating to the Contest, without limitation. g) In the event potential winner does not comply with all the provisions as contemplated in these Contest Rules or he/she has incorrectly answered the skill-testing question, Fisgard shall have the right to disqualify potential winner and draw an alternate potential Prize winner. Fisgard shall be fully and completely released and discharged from any liability or responsibility in this regard. The provisions and procedures referred to above relating to selection and notification of a potential winner shall be applied, with the necessary amendments, until a qualified Prize winner has been duly selected. h) Fisgard assumes no responsibility or liability for lost, late, unintelligible/illegible, falsified, damaged, misdirected or incomplete entries, notifications, responses, replies or any Release, or for any computer, online, software, telephone, hardware or technical malfunctions that may occur, including but not limited to malfunctions that may affect the transmission or non-transmission of an entry. Fisgard is not responsible for any incorrect or inaccurate information, whether caused by website users or by any of the equipment or programming associated with or utilized in the Contest or by any technical or human error which may occur in the administration of the Contest. Fisgard assumes no responsibility for any error, omission, interruption, deletion, defect, delay in operation or transmission, communications line failure, theft or destruction or unauthorized access to, or alteration of, entries. Fisgard is not responsible for any problems, failures or technical malfunction of any telephone network or lines, computer online systems, servers, providers, computer equipment, software, e-mail, players, or browsers, on account of technical problems or traffic congestion on the Internet, at any website, or on account of any combination of the foregoing or otherwise. Fisgard is not responsible for any injury or damage to entrant or to any computer related to or resulting from participating or downloading materials in this Contest. Entrant assumes liability for injuries caused or claimed to be caused by participating in the Contest, or by the acceptance, possession, use of, or failure to receive any Prize. Fisgard assumes no responsibility or liability in the event that the Contest cannot be conducted as planned for any reason, including those reasons beyond the control of the Sponsor, such as infection by computer virus, bugs, tampering, unauthorized intervention, fraud, technical failures, or corruption of the administration, security, fairness, integrity or proper conduct of this Contest, and/or the Contest Website. Fisgard assumes no responsibility for entries which fail to comply with these Contest Rules. Fisgard assumes no responsibility for any failure of Fisgard’s website during the Contest Period, including any problems or technical malfunctions of any computer on- line systems, servers, computer equipment, software, failure of any e-mail or entry to be received on account of technical problems or traffic congestion on the Internet or at any website, or any combination thereon. i) All entries are subject to verification. By participating in the Contest, each entrant agrees to be bound by the Contest Rules. Entrant further agrees to be bound by the decisions of Fisgard, which shall be final and binding in all respects. Fisgard reserves the right, in its sole discretion, to disqualify any entrant found to be: (a) violating the Contest Rules; (b) tampering or attempting to tamper with the entry process or the operation of the Contest, the Contest website, or any related promotional website; (c) using any automated, script, macro, robotic or other program(s) to enter or otherwise participate in this Contest; (d) acting in an unsportsmanlike or disruptive manner, or with intent to annoy, abuse, threaten or harass any other person. CAUTION: ANY ATTEMPT TO DELIBERATELY DAMAGE THE CONTEST WEBSITE OR UNDERMINE THE LEGITIMATE OPERATION OF THE CONTEST MAY BE A VIOLATION OF CRIMINAL AND CIVIL LAWS. SHOULD SUCH AN ATTEMPT BE MADE, FISGARD RESERVES THE RIGHT TO SEEK REMEDIES AND DAMAGES TO THE FULLEST EXTENT PERMITTED BY LAW, INCLUDING BUT NOT LIMITED TO CRIMINAL PROSECUTION. j) In the event of any discrepancy or inconsistency between the terms and conditions of the Contest Rules and disclosures or other statements contained in any Contest related materials, the terms and conditions of the Contest Rules shall prevail, govern and control. k) No correspondence will be entered into except with entrants requesting the Contest Rules by mail or requesting the name(s) of the Winner for which a self-addressed, postage paid envelope must be included. Requests should be addressed to paperless statements Contest, 3378 Douglas Street, Victoria BC V8Z 3L3. l) Fisgard reserves the right, in its sole discretion, to terminate the Contest, in whole or in part, and/or modify, amend or suspend the Contest, and/or the Contest Rules in any way, at any time, for any reason without prior notice. m) All intellectual property, including but not limited to, trade-marks, trade-names, logos, designs, promotional materials, web pages, source codes, drawings, illustrations, slogans and representations used in connection with the Contest are the property of Fisgard and/or affiliates. All rights are reserved. Unauthorized copying or use of any copyrighted material or intellectual property without the express written consent of its owner is strictly prohibited. o) This Contest is void where prohibited by law and is subject to all applicable federal, provincial and municipal laws and regulations. The Contest Rules are subject to change without notice in order to comply with any applicable federal, provincial and municipal laws or the policy of any other entity having jurisdiction over Fisgard. All issues and questions concerning the construction, validity, interpretation and enforceability of the Contest Rules or the rights and obligations as between the entrant and Fisgard in connection with the Contest shall be governed by and construed in accordance with the laws of the province of British Columbia including procedural provisions without giving effect to any choice of law or conflict of law rules or provisions that would cause the application of any other jurisdiction’s laws.